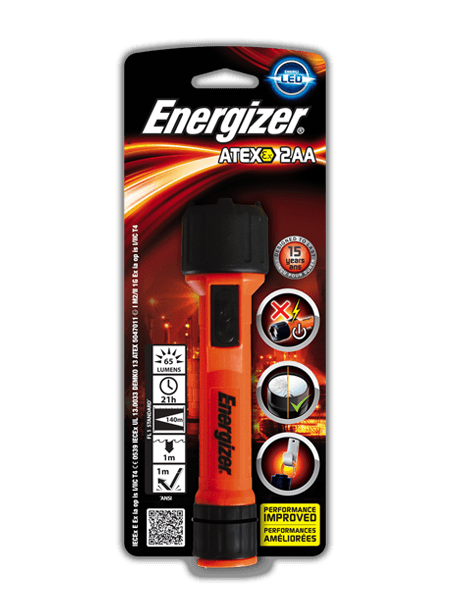 Approved by global safety agencies, the Energizer® Intrinsically Safe Handheld is ideal for work in harsh conditions. Designed specifically for the needs of Industrial trades, this high-performance light is waterproof, dustproof and survives drop after drop. A built-in carabineer belt clip makes for easy access, while the orange safety color provides instant recognition. LED technology delivers steady, bright illumination along with long lasting runtime.